Administrative Law Judge Peter Paul Castillo (ALJ), Office of Administrative Hearings (OAH), State of California, heard this matter in Carpinteria, California, on January 25, 26, 27, and 31, 2011, and February 1, 2, 3, and 4, 2011. Student was represented by N. Jane DuBovy, Attorney at Law, and assisted by Mandy S.L. Favaloro, Attorney at Law. Student’s mother and father (Parents) were present on all hearing days. Student was only present on January 31, 2011. 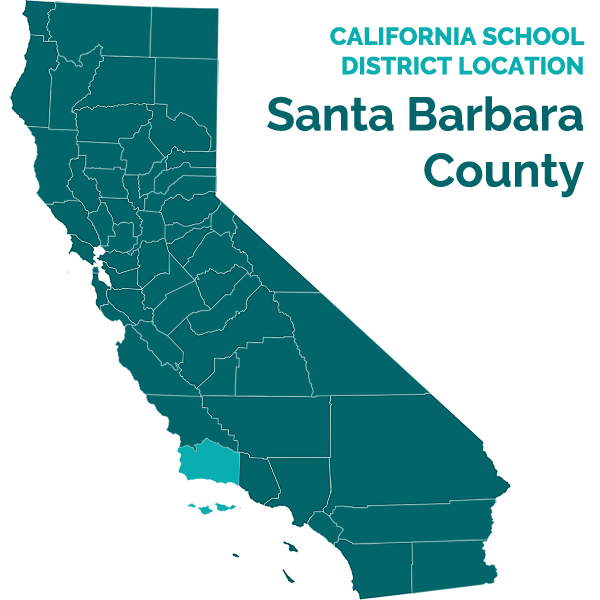 Carpinteria Unified School District (District) was represented by Melissa Hatch, Attorney at Law. Ruth Rech, District’s Director of Special Education, attended all hearing days. 1 This is a corrected Decision only to correct typographical errors in paragraph 90 on page 27 and as to the issues for which the parties prevailed on page 51. No other changes have been made to the Decision. 2 To maintain a clear record, the closing briefs have been marked as exhibits. Student’s brief has been marked as Exhibit S-65, and the District’s brief has been marked as Exhibit D-98. c) Failing to timely provide Parents with a complete copy of Student’s educational records after their June 11, 2010 request? b) Not including standardized testing for sensory needs in the District’s December 2009 funded occupational therapy (OT) independent educational evaluation (IEE)? c) Failed to offer appropriate specialized instruction, supports and accommodations to meet his unique needs and deficits? b) Appropriate specialized instruction and placement to meet Student’s unique needs? c) Appropriate specialized instruction, supports, accommodations and placement to meet his unique needs and deficits? b) Adequate OT, behavior and social skills services to meet his unique needs; c) Adequate AT services and devices, including an FM amplification system, to meet his unique needs; and d) Appropriate placement and specialized instruction, such as the LMB program, to meet his unique needs? c) Provide him with a full range of supports to allow him to benefit from his general education classes? Issue 8: Did the October 2010 IEP deny Student a FAPE as the District made the same offer as in the February/May 2010 IEP, despite Student’s lack of educational progress within that program and Student’s progress in the LMB program? b) Adequate one-to-one aide support during general education mainstreaming, despite the IEP team’s recommendation of this service? 3 These issues are those framed in the January 11, 2011 Order Following Prehearing Conference and as further clarified at hearing. The ALJ has reorganized the issues for this Decision. 4 Student does not challenge in any IEP at issue as to the District’s offer of adapted physical education (APE) services related to his gross motor skills, like running and object control. As a proposed resolution, Student requests one-to-one instruction for three to four hours a day at the LMB Learning Center, and placement in a general education class with a one-to-one aide for the remainder of the school day. Student seeks OT services from a non-public agency (NPA) for 60 minutes a week, social skills training from an NPA for an hour a week, and 30 minutes a week of APE. As compensatory education, Student asks for 96 hours of social skills services. Students seeks an AT and OT IEE. Student requests reimbursement for privately obtained LMB services and mileage reimbursement to transport Student to privately obtained service providers. Finally, Student seeks that the District permit him to repeat fifth grade in SY 2011-2012. Student contends that the District denied him a FAPE by continuously failing to adequately address his reading and math deficits by not providing him with properly researched interventions designed to address his reading and math deficits. Student asserts that the District failed to meet his unique needs because the District incorrectly assumed that he was intellectually disabled 5 based on the District’s faulty 2009 psychoeducational assessment, and did not develop goals to permit him to reach grade equivalency in reading and math. Student also argues that the District predetermined its February/May 2010 IEP offer by not considering information presented by the private assessors and dismissing out of hand, Parents’ request that Student receive intensive LMB reading instruction. Additionally, Student contends that the District failed to properly assess his sensory needs because the District knew of his sensitivity to sound and need for AT services, which prevented him from accessing the curriculum, and did not provide adequate services to address this unique need. The District asserts that its reading instruction programs were researched and appropriate to address his unique needs, and that he made meaningful progress before Parents unilaterally enrolled him in LMB. Further, the District properly developed measurable goals based on Student’s present levels of performance that were designed to address his unique needs and allow him to make meaningful educational progress. The District contends that it never considered Student to be intellectually disabled, but Parents’ expectation that Student could quickly obtain grade equivalency in his reading and math abilities was not realistic considering Student’s significant cognitive and processing deficits. Additionally, the District argues that it properly assessed Student in all areas of suspected disability and provided proper supports and accommodations. 1. Student is an 11-year-old boy who resides with Parents within the District’s geographical boundaries and is in the fifth grade for SY 2010-2011. Student has been eligible for special education services under the category of speech or language impairment since he entered the District in the first grade. Student was born three-and-a-half months premature, and considered a micropreemie. 2. Student attended Canalino Elementary School (Canalino) during SYs 20082009, 2009-2010 and 2010-2011, and was in Brandon Sportel’s special day class (SDC) for third to fifth grade students. Mr. Sportel is a credentialed special education teacher, and his SDC had typically 10 to 12 pupils with two instructional aides. Student attended a general education class for a portion of the school day during all times relevant and his IEPs all provided him with a one-to-one aide to accompany him during mainstreaming opportunities. 4. Student challenges the adequacy of the District’s October 15, 2008 IEP, asserting that it failed to include adequate goals to meet his unique reading, math, writing, social and fine motor skill deficits, and did not contain adequate OT and social skills services. As with the remaining IEPs at issue, Student asserts that the District underestimated his cognitive abilities in developing his IEP. The District contends that it developed Student’s IEP based on the information it had at the time, especially his classroom performance and progress, and that its IEP was reasonably calculated to permit Student to make meaningful educational progress. 5. At the time of the October 15, 2008 IEP, Student was in third grade in Mr. Sportel’s SDC for approximately five hours a day, and an hour a day in Cindy Calvin’s general education classroom. The District provided Student with speech and language, OT and APE services. At this time, the District had not conducted a psychoeducational assessment as it relied on a May 2006 private neuropsychological assessment by Ronald Brooks, Ph.D., along with its speech and language assessment, in finding Student eligible to receive special education services. 6. Dr. Brook’s assessment had findings that Student’s intellectual abilities were in the intellectually disabled range based on the Wechsler Intelligence Scale for Children, Fourth Edition (WISC-IV), with a full scale IQ of 56. The District administered the Woodcock Johnson Test of Achievement, Third Edition, Form B, Normative Update (WJTA-III NU) in May 2008. Student’s scaled scores on the May 2008 WJTA-III showed that Student was significantly behind his same-age peers in reading, writing and mathematics as nearly all of his subtest and composite scores were between the upper 40s to mid 60s, with a scaled score of 100 being the median score. For the October 2008 IEP team meeting, Mr. Sportel administered the Kaufman Test of Educational Achievement, Second Edition (KTEA-II), whose scores were consistent with the May 2008 WJTA-III scores. 7. During the October 15, 2008 IEP team meeting, the District team members discussed Student’s performance. They did not state that they believed that he was intellectually disabled. As set forth more below, the District, in developing the IEP, considered Student’s present levels of performance, especially his progress on goals and performance on curriculum testing, and not any preconceived ideas regarding his intellectual functioning ability based on Dr. Brooks’ testing. Before and during the IEP team meeting, Parents did not express any objection to the District’s proposed IEP or that the District underestimated Student’s abilities. Student did not establish that the District entered the IEP team meeting with a preconceived notion that Student was intellectually disabled, and drafted the IEP accordingly. 8. A district is required to identify a student’s unique educational needs and to provide special education and related services designed to meet those needs. An IEP must include a statement of measurable annual goals that are designed to meet the student’s needs resulting from his or her disability, and a statement of how the student’s progress toward the annual goals will be measured. 9. Student was working at a first grade reading and math curriculum level. Student could read 60 words a minute aloud at a first grade level, and read 70 high frequency words with 88 percent accuracy. As to reading comprehension, Student could answer questions and multiple-choice answers when read aloud to him. Student substantially met his October 2007 annual reading goal to read 100 out of 125 high frequency words, and reading comprehension goal to read a first grade passage with minimal assistance with 80 percent accuracy. Student’s reading ability had progressed from kindergarten to first grade in a year. 10. With math, Student could add and subtract single digit problems, with and without the use of manipulatives to assist him. For double digit addition and subtraction, Student required manipulatives, such as his fingers or Touch Math, and could not perform problems that required carrying and borrowing. Student substantially met his math goal to add and subtract one and two digit problems, without regrouping, with 80 percent accuracy. Additionally, due to Student’s reading difficulties, he had trouble with math word problems. 11. Based on Mr. Sportel’s work with Student on his writing skills, he could write a complete sentence and spell at the middle first grade level. Student met one of his annual writing goals as he could write a complete sentence when given a list of key words with 80 percent accuracy. Student needed organizational assistance in summarizing stories as he could not independently structure his verbal summary of a story into a proper written format. Student’s other writing goal dealt with his fine motor skills and called for him to write legibly on first grade-portioned paper by staying on the lines with 80 percent accuracy. Mr. Sportel and Beth Anderson, Santa Barbara County Office of Education (SBCOE) OT therapist,6 worked with Student and he substantially met this goal. 12. As to Student’s social skills and behavior, he did not display behavioral problems as he could stay on task with simple redirection. Student was not disruptive in the general education class. Student had significant deficits regarding his social skills, as he did not understand social cues and playground rules. Student substantially met his goal of joining a group and following the rules with minimal adult prompting. The goal was for Student to join and follow the rules in 24 out of 25 trials, and Student did so in 23 out of 25. 13. In October 2008, the District updated Student’s reading goals for him to read 200 high frequency words with 90 percent accuracy, and to determine the underlying theme from a grade level selection with 75 percent accuracy. The District properly developed these two reading goals based on the information it had regarding his reading ability. The purpose of Student knowing high frequency words was to allow him to increase his reading fluency and to focus on decoding harder words. As to reading comprehension, the District appropriately wanted Student to independently answer questions. Student did not establish that the District’s present levels of performance were not accurate, or that the District underestimated Student’s abilities. Therefore, the District appropriately developed Student’s reading goals to address his reading fluency, decoding and comprehension deficits. 14. Regarding math, the District wanted Student to add and subtract larger numbers as it increased the goal for him to add and subtract numbers between zero and 10,000 with 75 percent accuracy. For writing, the District proposed that Student improve the coherence and logic of his writing assignment, using a five-point rubric. Even though Student’s writing was not at grade level, the District did not propose a fine motor goal because Student’s writing was legible and he met the prior goal. Student did not establish that the District’s proposed math and writing goals were not adequate to meet Student’s unique needs based on his present levels of performance, and that the District needed to develop different goals for Student to make meaningful educational progress. 15. As to social skills, the District proposed a goal for Student to interact appropriately with his peers, with minimal adult prompting, 100 percent in 26 recess periods. Student’s challenge regarding the District’s provision of social skills service focused on the District not having a set social skills curriculum. As to the social skills goal itself, Student did not show why this goal was not appropriate to meet his unique needs based on his present levels of performance and deficits in the area of social communication. 16. The District appropriately developed its reading, math, social skills and fine motor goals based on Student’s present levels of performance and his unique needs. Student did not establish that based on information that the District possessed as of the October 15, 2008 IEP team meeting, the District’s goals were not adequate to meet his unique needs or that the District “dumbed down” the goals because it underestimated his intellectual abilities. 6 The District contracts with SBCOE for the provision of OT services. 17. At the October 15, 2008 IEP team meeting, the District offered Student 60 minutes a week for speech and language services. The District’s speech and language offer incorporated services for Student’s social skills. The District proposed two speech and language sessions a month at recess to work on Student’s social skills, along with the one time a week large group and small group, which worked on pragmatic language and social skills. The District also provided assistance on his social skills in the 30 minutes a week of APE services. 18. For OT, the District offered one 30-minute individual and one 30-minute group session, and 30 minutes a week classroom OT consultation with Mr. Sportel focused on Student’s fine motor deficits. Student’s challenge to the District’s offer of OT services related to the District not working with Student’s sensory needs and that the District’s social skills services did not follow a specified curriculum. However, the District used a curriculum for all pupils, including Student, which taught mutual respect and how to handle disputes. 19. Regarding OT, Student did not establish that, as of October 2008, he had sensory processing needs that required OT services. The sensory deficits that Student raised during the hearing regarded sensitivity to loud noises and distractibility to noises from outside the classroom. However, Mr. Sportel and Ms. Anderson were convincing that Student was no more distractible than any other third grade student to loud noises or noises from outside the classroom, and that Student was easily redirected back to any task if distracted. As to the District’s offer of OT services, Student did not establish that his fine motor deficits required additional services. 20. As to social skills, Student’s challenge to the District’s offer focused on a lack of a social skills curriculum, and not the frequency and intensity of the District services. Student did not establish that he required any particular social skills curriculum to make meaningful educational progress in this area. The District provided social skills services designed to address his deficits in knowing how to approach peers to join a group, knowledge of playground rules, how to handle disputes regarding what game to play and how to disengage from a group. Student did not establish that the teaching techniques the District used during the speech and language sessions were not adequate to meet Student’s unique needs. Therefore, Student did not establish that the District’s offer of services to address his OT and social skills deficits was not adequate. 21. Student’s primary challenge to the District’s instruction of Student involved the reading program. Student asserted that the Open Court reading program, which was the primary program Mr. Sportel used, was not designed for students who required intensive reading remediation. The District asserted that the reading instructional methods it used were adequate to allow Student to make meaningful educational progress. 22. The District offered, at the October 2008 IEP team meeting, that Student attend Mr. Sportel’s SDC for five hours a day, and Ms. Calvin’s general education class for an hour for science and social studies primarily. Students in Mr. Sportel’s SDC received approximately two hours a day of reading instruction by either Mr. Sportel or an instructional aide during SYs 2008-2009, 2009-2010 and 2010-2011. Mr. Sportel used primarily the Open Court reading program, supplement with other programs, like Avenues. Open Court is a reading program approved by the California Department of Education (CDE), and used by the District in its regular education elementary classes. There is no evidence that Mr. Sportel did not follow the Open Court instructional methodology. Instead, Student challenges Open Court for not being adequate to meet Student’s unique needs, and not designed to address the needs of special education students who require intensive reading remediation. 23. As to math, during SYs 2008-2009, 2009-2010 and 2010-2011, the SDC students received one hour a day of instruction. Mr. Sportel used the Harcourt Math curriculum during SY 2008-2009 and Touch Math, which had Student use manipulatives in performing addition and subtraction. Student did not establish that the math curriculum and instructional methods used by the District were not adequate to meet his unique needs. Student’s focus was the District’s inability to meet his reading needs, which prevented him from understanding his math assignments. 24. Student asserted that the District’s reading program had not permitted him to make meaningful educational progress, especially because the District underestimated his intellectual abilities. However, none of Student’s witnesses established that, as of the time of the October 18, 2008 IEP team meeting, Student had not made meaningful educational progress with the District’s reading program. Information presented at hearing by Student focused on information presented at February and May 2010 IEP team meetings from Dr. Simun’s IEE and the LMB assessment information. Thus, Student did not prove that as of October 2008 that he had not made adequate progress with the District’s reading program as his reading level had advanced a grade, or that the District possessed any other information that would require the District to change its reading program. 25. For IEP accommodations, the District provided Student with extra time on tests, alternate setting to take tests, and audio support, such as books on tape. Student attempted to use 2009 and 2010 assessment information regarding his need for additional supports, focusing on AT services. Student did not establish that based on the information that the District had as of October 2008, that the supports and accommodations offered were not sufficient to meet his unique needs and to permit him to access his curriculum. 26. Student asserted that after the October 15, 2008 IEP, and through all times relevant in this matter, the District did not provide him with a one-to-one aide as required by the IEP. The October 2008 IEP is the relevant IEP in this matter, as Parents did not consent to portions of any subsequent District IEPs until October 2010. Student stated that he did not always have a one-to-one aide with him while in his regular education class. However, Student’s regular education teachers, Ms. Calvin, Kathleen Tomscha, his fourth grade teacher, and Jamie Persoon, his fifth grade teacher, established that Student had a one-to-one aide while he attended their classes. 27. Student walked independently from Mr. Sportel’s SDC to his general education classrooms while the aide followed him. During class, the aide would sit close by Student and provide assistance when needed. If Student could work independently on a task, the aide would assist another child, but always be available for Student if he required help. During group work, the aide would be with Student’s group, helping Student and the other children in the group. None of Student’s general education teachers stated that Student was disruptive to their class or that he required the aide to be constantly by his side. Student did not prove that the aide needed to always be working with Student. The District established that it would make Student dependent on the aide when the goal was for him to be more independent. Therefore, Student did not prove that the District failed to implement his IEPs, as the District appropriately provided him with a one-to-one aide. 28. Assessments of educational needs must be conducted at least every three years in all areas related to any suspected disability that a student with special needs may have. The District conducted a comprehensive triennial assessment in preparation for the June 5, 2009 triennial IEP team meeting. The District’s assessment consisted of a psychoeducational assessment by Julie Albitre, District school psychologist, OT assessment by Ms. Anderson, administration of the WJTA-III by Mr. Sportel, APE assessment by Donna Woleslagle, and speech and language assessment. Student challenges the District’s June 2009 IEP because the District developed this IEP based on faulty information from the psychoeducational and OT assessments and WJTA-III. The District contends that the information in the June 2009 triennial information accurately represented Student’s strengths and weaknesses and any errors in the assessments were not so significant to invalidate its June 5, 2009 IEP. 29. Student contends that the District underestimated his cognitive ability and behavioral deficits as Ms. Albitre’s assessment improperly found him to be intellectually disabled and not to have significant behavioral deficits. Student contends that the District developed the triennial IEP based on inaccurate findings and underestimated his abilities. Student also challenges Ms. Albitre’s assessment for failing to obtain sufficient information from Parents regarding his behavioral deficits and not fully assessing this area of need. 30. Ms. Albitre administered the WISC-IV as part of her assessment. She is qualified to administer the WISC-IV based on her education, training and experience. Ms. Albitre used the WISC-IV to examine Student’s cognitive functioning, determine his strength and weaknesses, and because it had been administered in the past. Ms. Albitre administered the WISC-IV on May 15, 19 and 24, 2010,7 and Student’s scores were consistent with Dr. Brooks’ results. In 2006, Student’s perceptual reasoning index standard score was 65, and 55 in 2009. Student’s working memory index standard score was 71 in 2006, and 65 in 2009, and his processing speed index standard score in 2006 and 2009 was 53. The area of discrepancy between 2006 and 2009 was Student’s perceptual reasoning index standard score, which jumped from 65 to 81. Student’s full scale IQ includes the four index scores and, as with 2006 results, Student had a full scale IQ of 56. 31. Regarding Ms. Albitre’s testing of Student on the WISC-IV, she followed the test protocols in administering the test. Ms. Albitre broke up the testing over three days to ensure that Student was not overly tired during the testing. Student wore his glasses and was alert and cooperative during the testing. Student was no more distracted during testing than a typical third grader, as he would be briefly distracted by outside sounds and then return to the testing. Ms. Albitre tested Student in a manner to maximize, not minimize his score. 32. Student challenged Ms. Albitre’s assessment for underestimating his abilities by mistakenly asserting that Ms. Albitre never noted in her report that Student’s full-scale IQ score might not be an accurate reflection of his cognitive abilities. However, Ms. Albitre explicitly stated in her report that Student’s abilities were best understood by looking at his performance on each index, rather than just considering his full-scale IQ score. Ms. Albitre noted that Student’s verbal memory and rote working memory abilities were much better developed than his auditory working memory, processing speed, visual processing and visual-motor integration. Ms. Albitre did state that Student was intellectually disabled. Ms. Albitre’s recommendations for strategies to assist Student with his visual processing, visual motor integration, auditory working memory and reasoning deficits were not challenged by Student’s expert, Dr. Simun, 8 as being indicative that Ms. Albitre thought Student to be intellectually disabled. The District did not propose at the June 2009 IEP to change Student’s special education eligibility criteria to intellectually disabled. 7 Ms. Albitre did not note in her assessment when she administered the WISC-IV, and this information was noted in her test protocols. 33. Dr. Simun conducted a neuropsychological assessment in November 2009 at Parents’ request because they disagreed with Ms. Albitre’s findings, especially regarding Student’s cognitive ability. Dr. Simun reviewed Student’s educational records, prior testing , Regional Center and private assessments, observed Student in Mr. Sportel’s SDC, and interviewed Parents. Dr. Simun challenged Ms. Albitre for underestimating Student’s cognitive abilities based on her testing of Student. To measure Student’s cognitive ability, Dr. Simun administered the Kaufman Assessment Battery for Children, Second Edition (KABC-2), Children’s Category Test Level 2 (CCT-2) and Test of Non-Verbal Intelligence, Third Edition (TONI-3). Based on her administration of these tests, Dr. Simun opined in her January 2010 assessment report that Student was of low average to average intelligence. 34. However, the District’s expert, Dana Chidekel, Ph.D.,9 reviewed Dr. Simun’s assessment report and test protocols and found numerous errors in Dr. Simun’s testing that established Dr. Simun overestimated Student’s cognitive ability based on her faulty test administration and test scoring. For her testimony, Dr. Chidekel reviewed Student’s educational records, prior testing, including Dr. Simun’s report, and Dr. Simun’s test protocols. Dr. Chidekel did not assess Student nor observe him at school. 8 Dr. Simun was qualified to conduct a neuropsychological assessment, to evaluate the appropriateness of Ms. Albitre’s psychoeducational assessment and to testify as an expert based on her education, training and experience. Dr. Simun has a bachelor of arts in psychology, master of science in school psychology and Psy.D. in neuropsychology. Dr. Simun was a school psychologist for 10 years and conducted numerous psychoeducational assessments. Dr. Simun is nationally board certified. Dr. Simun has conducted numerous neuropsychological assessments for elementary school age children and attended hundreds of IEP team meetings since obtaining her Psy.D. in 1998. 9 Dr. Chidekel is board-certified with the American Board of Pediatric Neuropsychology, and the American Board of Professional Neuropsychology. She has a master of arts in psychology, and a Ph.D. in clinical psychology. Nearly all of her clinical practice in psychology is focused on pediatric issues of children with developmentally based problems. As part of her practice, Dr. Chidekel participates in IEP team meetings, usually on behalf of families whose child she has evaluated. Her credentials include clinical and research experience in psychology and neuropsychology since 1989, as well as numerous publications, professional and public presentations, and professional affiliations in the area of neuropsychology. Dr. Chidekel demonstrated that she is qualified as an expert in the area of pediatric neuropsychology. 35. Dr. Chidekel pointed out errors in Dr. Simun’s scoring of the KABC-2 and errors in the test administration that undercut Dr. Simun’s conclusion as to Student’s cognitive ability. In fact, Student in his closing brief seems to acknowledge the errors by stating that Dr. Simun’s assessment found Student’s cognitive ability to be in low average range, while her report stated close to average ability. While Ms. Albitre discussed in her report the wide range of scores on the WISC-IV and that Student’s full-scale IQ score was not an accurate representation of his abilities because of the wide range, Dr. Simun failed to do the same analysis in her interpretation of Student’s KABC-2 subtest scores. Student’s KABC-2 scores with Dr. Simun’s original, incorrect scoring, ranged from four to 14, with a standard score of 10 being the average. Dr. Chidekel was convincing that because of the wide variations of subtests scores, Dr. Simun should not have opined that Student possessed close to average cognitive ability. The disparate subtest scores in Dr. Simun’s testing correlated to the results in Ms. Albitre’s WISC-IV scores as to Student’s strengths in his verbal skills and rote working memory. Student’s strengths show up in his strong vocabulary skills, and weaknesses in processing complex information due to his cognitive deficits, which correlates to his weakness in reading comprehension. Dr. Chidekel explained that Student’s strengths as to his vocabulary and rote memory were splinter skills, but to infer that Student had close average intelligence because of these skills was misplaced. Based on reviewing Student’s educational records and assessment information regarding Student’s cognitive ability, Dr. Chidekel did not believe that Student was intellectually disabled, but that Dr. Simun had significantly overestimated his cognitive abilities. As to the CCT-2 and TONI-3, Dr. Chidekel established that Dr. Simun misinterpreted these test results to support her position. Additionally, Dr. Chidekel was convincing in her explanation that Student’s various processing deficits were inexorably intertwined with his cognitive deficits and that his deficits could not be remediated to permit Student to perform grade level work. Therefore, Student did not establish that Ms. Albitre’s psychoeducational assessment underestimated Student’s abilities. 36. Regarding Student’s behavioral deficits, Student contended that Ms. Albitre did not properly assess this area and underestimated his behavioral deficits that negatively affected his ability to access the school curriculum. To assess Student’s behavior, Ms. Albitre administered the Behavioral Assessment System for Children, Second Edition (BASC-2) by giving the questionnaire to Mr. Sportel and Parents. Mr. Sportel reported Student to be at risk regarding his functional communication and clinically significant regarding his self-reporting physical illness.10 Parents reported attention problems, withdrawal, leadership and activities of daily living to be within the clinically significant range, and hyperactivity, atypicality, social skills and functional communication to be in the at risk range. Student challenged Ms. Albitre’s assessment for not taking into consideration the behavioral problems at home, such as tantrums. 10 At risk indicates an area of concern that requires observation, while clinically significant indicates an area in need of intervention. 37. While Student may have demonstrated behavioral problems at home, he did not demonstrate those same issues at school. At the time of June 2009 IEP team meeting, both Mr. Sportel and Ms. Calvin had not observed behavioral problems as Student was on task during the SDC and general education instruction, easily redirected when distracted, and participated, with prompting, in group activities. This was confirmed when Dr. Simun observed Student in November 2009, as Student was attentive and focused on the lesson presented by Mr. Sportel. While Student had more difficulty remaining on task during independent work, Dr. Simun did not note any disruptive behaviors or inability to be redirected to the task. Therefore, Student did not establish that Ms. Albitre’s assessment incorrectly assessed Student’s behavioral deficits or contained inaccurate information regarding his deficits that could hinder his ability to access the class curriculum. 38. Regarding Student being a micropreemie, Student established the typical developmental and cognitive deficits micopreemies might have. The deficits micopreemies have are on a continuum as a micropreemie might be profoundly disabled or might have slight deficits. However, Student did not establish that the District improperly assessed Student because he is a micropreemie. The District knew of this issue and its assessment developed accurate information regarding Student’s unique needs based on its assessment and classroom work with Student. Student did not establish that any special assessment needed to be done because he is a micropreemie. Therefore, Ms. Albitre’s assessment contained accurate information regarding Student’s cognitive and behavioral deficits. 39. Assessments for educational need must be done in all areas related to any suspected disability a student may have. Student challenged Ms. Anderson because she evaluated Student’s fine motor skills as to his writing, and did not perform a formal sensory processing assessment. Student contends that the District was on notice of his sensory processing deficits based on information from Parents and his behavior at school. The District asserts that Student did not display any sensory processing deficits affecting his education that would require an assessment. 40. Ms. Anderson has extensive OT experience as she has worked for SBCOE since 1998, working primarily with elementary school students. Ms. Anderson is licensed by the State of California, and has extensive experience and training in the area of sensory integration. Ms. Anderson is qualified to perform standardized testing as to sensory integration, including a leading test, the Sensory Integration and Praxis Test (SIPT). 41. Ms. Anderson was convincing that sensory integration was not a suspected disability and that the District did not need to assess Student in that area. Student did not demonstrate sensory integration deficits, such as seeking out sensory inputs, or oversensitivity or lack of sensitivity to sound, touch or taste. Student did not display sensory integration deficits that prevented him from accessing the curriculum, such as being overly sensitive to loud sounds or distracted by sounds from outside the classroom. Ms. Anderson, Mr. Sportel and Ms. Calvin did not observe Student being overly sensitive to sound, and Ms. Simun did not note any problem during her classroom observation. While Parents noted Student’s sensitivity to sound at home, Student did not display any sensitivity to sound that interfered with his ability to attend his SDC or general education class, where there is more sound during group activities. Additionally, Ms. Anderson displayed no resistance to administer the SIPT, but did not believe that Student required a sensory integration assessment. Therefore, Student did not establish that as of June 2009, the District should have performed a formal sensory integration assessment. 42. Student, through Dr. Simun, tried to establish that his grade and age equivalence scores on the WJTA-III demonstrated that he did not make meaningful educational progress. The District asserted that in evaluating scores one needs to look at the scaled scores because they give you a more accurate representation of a student’s abilities and progress. In May 2009, Mr. Sportel administered the WJTA-III NU11 to obtain information regarding Student’s academic performance in reading, writing and math. Mr. Sportel is qualified to administer the WJTA-III based on his education and training and has administered the WJTA-III numerous times. Mr. Sportel properly administered the WJTA-III. The District used Student’s WJTA-III scores to gauge his academic progress, along with his class performance and scores on District curriculum and state testing. 11 In 2007, the publishers of the WJTA-III recalculated the scoring of WJTA-III by having a representative normative sample, based on the 2000 census, take the WJTA-III. The test questions in the WJTA-III NU did not change from the WJTA-III, but the scoring did change based on the new normative sample, and the scores for school age children was slightly lower. (McGrew, K. S., Dailey, D. E. H., & Schrank, F. A. (2007). Woodcock-Johnson III/Woodcock-Johnson III Normative Update Score Differences: What the User Can Expect and Why (Woodcock-Johnson III Assessment Service Bulletin No. 9). (Rolling Meadows, IL: Riverside Publishing.) Dr. Simun failed to consider the renorming when considering the District’s 2006 WJTA-III score as she opined that the drop in scaled scores from 2006 through 2009 showed a lack of educational progress. 44. In comparing Student’s 2009 scaled scores to the prior May 2008 WJTA-III NU scores, Student’s broad reading went from 49 to 55 and broad math from 51 to 53, which are statistically the same as within the margin of error. Broad written language increased from 60 to 75. Student’s scores on academic skills went from 58 to 61 and academic fluency from 51 to 53, statistically the same, and academic application increased from 52 to 68. As with Ms. Albitre’s WISC-IV scores, an analysis of Student’s subtest scores showed strength as to his vocabulary and ability to recall rote information, and depressed scores on more complex and analytical problems, which are impacted by his cognitive and processing deficits. Student’s May 2009 WJTA-III scores showed that he progressed at the same rate as his same age peers as to reading and math, and his writing showed more than a year’s growth, as reflective of his splinter skills. Therefore, Student did not establish that he did not make meaningful educational progress based on his WJTA-III scores. 45. The District presented the assessment results at the June 5, 2009 IEP team meeting, along with Student’s present levels of performance and progress on the October 2008 IEP goals and made an offer for SY 2009-2010. The District offered Student goals in the areas of speech and language, social skills, reading decoding and comprehension, math number sense, writing revision and editing, OT handwriting and gross motor skills. The District offered a continuation of the one-to-one aide. The District proposed to increase Student’s time in the regular education an additional 20 minutes a day, provide 240 minutes a week of speech and language services, which included social skills services, and 30 minutes a week of group OT services along with 30 minutes a week of OT class consultation. At the conclusion of the IEP team meeting, Parents did not consent to the District implementing any portion of the IEP. 46. Student challenged the District’s goals based on the purported inaccurate information in the District’s triennial assessment, the District underestimating his cognitive ability, and lack of educational progress since the October 2008 IEP team meeting. The District asserted that it developed the goals based on accurate information and the goals were reasonably calculated to allow Student to make meaningful educational progress. 47. As noted previously, the District did not determine in the June 2009 psychoeducational assessment that Student was intellectually disabled. Mr. Sportel, who developed the District’s reading, writing and math goals, never believed that Student was intellectually disabled. The District did not discuss at the June 5, 2009 IEP changing Student’s special educational eligibility to intellectually disabled. Information from the triennial assessment, progress on goals, classroom performance and test scores on District curriculum were accurate reflections of Student’s present levels of performance as of June 2009, and established that he was making meaningful educational progress. 12 Jaffe, L. E. (2009). Development, interpretation, and application of the W score and the relative proficiency index (Woodcock-Johnson III Assessment Service Bulletin No. 11). Rolling Meadows, IL: Riverside Publishing. 48. With reading, Student had advanced to an upper-first-grade reading level, and for SY 2009-2010, he was ready to move to a second grade reading curriculum. Student could identify words when read aloud, and could track when he read without assistance. With multisyllable words, Student could distinguish beginning, middle and end sounds, but had difficulty putting those sounds together. 49. As to reading comprehension, by June 2009, Student could answer the reading comprehension questions independently after practicing during the week, which he could not do in October 2008. As to his October 2008 reading comprehension goal, Student met this goal four months early. The District’s proposed June 2009 goal was for Student to follow two-step written directions with 90 percent accuracy. This goal was appropriate for Student to understand more complex reading and to answer more complex questions. 50. As to Student’s reading decoding, he had met the October 2008 goal four months early as he could read 270 high frequency words with 80 percent accuracy. The District proposed to increase this goal difficulty with Student reading 350 high frequency words with 80 percent accuracy. The District’s goal was appropriate as vocabulary and rote memory were areas of strength for Student and improving his vocabulary and ability to recognize sight words without the need to decode. This would allow Student to work on decoding more complex words and increase his reading fluency. Student did not establish that this proposed goal was not appropriate to meet his unique needs or that the District needed to propose other reading goals for him to make meaningful educational progress. 51. As to writing, by June 2009, Student’s writing was becoming more legible, and he was able to write complete sentences when given a short list of words to use, but had difficulty with free writing in using descriptive language. While Student understood the basic rules of capitalization and punctuation, his writing was slower compared to his peers. With spelling, Student had completed most of the second grade words and averaged nearly 80 percent on weekly tests. Student had partially met his writing goal to revise a writing assignment as he could identify errors when the sentence was read aloud to him, but had difficulty editing his work independently. 52. The District’s proposed writing goal was for Student to continue to work on independently revising his sentences to improve grammar, punctuation and use of descriptive details with 75 percent accuracy. Student’s difficulty in writing more complex sentences corresponded to information in Ms. Albitre’s assessment as to Student’s working memory and significant deficits in processing new information, which required instruction to be repeated before Student could understand a new topic. As the District expected Student to write longer and more complex assignments, an OT goal was added for Student to consistently space his words with 90 percent accuracy without verbal prompts. The District properly developed the two goals based on accurate information as to Student’s present levels of performance and the goals were reasonably calculated to permit Student to make meaningful educational progress. 53. For math, Student continued working with the Harcourt Math workbook and Touch Math program at the first grade level. Student understood number values and could count by two’s, five’s and ten’s to 100 with minimal prompting. Student still preferred using his fingers to add, instead of the Touch Math manipulatives, but could use the manipulatives if asked. He still had difficulty with grouping and borrowing in addition and subtraction, and with written word problems as Student performed better when the problem was read to him. Student had substantially met the October 2008 math goal as he could add multiple digit problems without regrouping with 75 percent accuracy, but had not met the 75 percent accuracy goal with subtraction. The District’s proposed June 2009 math goal was for Student to memorize addition and subtraction facts with 75 percent accuracy when given 100 addition and subtraction problems up to the number 20. Student needed the ability to perform math calculations from memory and he demonstrated the ability to recall with repetition due to his rote memory strength as to vocabulary. 54. Student challenged the proposed math goal, claiming that the District underestimated his abilities, which he did not prove. The triennial assessment demonstrated that Student had significant deficits with his ability to hold information in his working memory and then to manipulate the information, which is required in carrying and borrowing for addition and subtraction. Student did not establish that the District’s proposed math goal was not reasonably calculated to permit him to make meaningful progress due to his unique needs as the goal was based on Student’s present level of performance and reasonably calculated to permit Student to make meaningful educational progress. 55. As to Student’s social skills as of June 2009, his behavior in the SDC and general education class was appropriate. Student continued to have difficulty with social situations on the playground in understanding non-verbal cues and how to initiate and terminate play. The District’s proposed goal was for Student to demonstrate knowledge of body language and voice tone in social situations by stating how a peer felt and to provide one or two possibilities of what the peer may want with 80 percent accuracy. As with the October 2008 IEP, Student’s challenge to the District’s social skills focused on whether the District used a structured curriculum to teach Student social skills, and the appropriateness of the goal. However, Student did not present sufficient evidence that he required a structured curriculum to properly implement the social skills. Therefore, the District’s proposed goal was reasonably calculated to provide Student with meaningful educational benefit. 56. Student’s challenge to the District’s use of the Open Court reading program was the same as it had been in 2008 in that Student contended that Open Court was not designed for students who required intensive reading remediation. However, Student did not have any evidence that Open Court was not effective for students who required intensive reading remediation, like Student, or that Open Court was not effective for Student, or that he required additional reading instruction. Student’s progress to a second grade level and his scores on the WJTA-III showed that he continued to make meaningful educational progress with his reading. Based on Student’s cognitive ability, the rate of growth was appropriate. 57. As to math instruction, Student did not present sufficient evidence that the Harcourt workbook, Touch Math program or the hour a day instruction was not adequate to meet Student’s unique needs, or what other instructional methods the District should have used in June 2009. 58. Regarding social skills, Student’s focus on the District’s lack of a social skills curriculum overlooked the fact that the District’s instructional methods used with Student worked. Student did not establish that the speech and language therapists working with Student were not qualified to work on his social skills or that he did not make adequate progress. Therefore, Student did not establish that the instructional methods for math and social skills were not adequate to meet his unique needs. 59. Regarding supports and accommodations, the District offered continuing the same accommodations and supports from the October 2008 IEP. Student did not demonstrate, based on the information that existed as of June 2009 as to his unique needs and the progress that he made since October 2008, that the supports and accommodations were not adequate to meet his unique needs. 60. As to the goals, specialized instruction, supports and accommodations in the June 2009 IEP, the District developed this IEP with accurate information from its triennial assessment and present levels of performance. Based on this information regarding Student’s unique needs, the District developed an IEP that was reasonably calculated to allow him to make meaningful educational progress. 61. Student contended that the October 11, 2009 IEP denied him a FAPE because the District merely continued to implement the October 15, 2008 IEP. Because Parents did not consent to the June 2009 IEP, the District continued to implement the October 2008 IEP. For SY 2009-2010, Student continued in Mr. Sportel’s SDC and attended the fourth grade general education class of Ms. Tomsha. Parents and the District exchanged correspondence regarding Parents’ disagreement with the District’s psychoeducational, OT, and speech and language assessments. Parents requested that the District fund an IEE in these areas, and the District agreed. 13 Parents also requested a private Central Auditory Processing Disorder (CAPD) assessment. The District notified Parents that the District wanted to perform the CAPD assessment because it had not previously conducted this assessment, and Parents consented to the District conducting the CAPD assessment. 62. While discussions were occurring as to these assessments, the District requested to amend the October 2008 IEP to increase Student’s mainstream time in Ms. Tomsha’s general education class to 75 minutes a day. Parents consented to the IEP amendment, which the District then implemented with the remainder of the October 2008 IEP. Student challenges the appropriateness of the October 11, 2009 amendment based on the same claims discussed above in Factual Findings 3 through 27 regarding the October 15, 2008 IEP. However, the October 11, 2009 amendment did not repudiate the District’s June 2009 IEP offer. The October 11, 2009 amendment simply gave Student additional mainstream opportunities, which he is not challenging for being inadequate. The District did not intend to or possess additional information that would warrant a change in the June 2009 IEP, which Parent’s never consented to implement. Therefore, Student did not establish that the October 11, 2009 IEP amendment denied Student a FAPE. 64. Dr. Simun administered the NEPSY-II14 to examine Student’s executive functioning, memory, visual and fine motor skills and attention. While Dr. Simun’s assessment contained information from the NEPSY, Dr. Simun did not attempt to explain the NEPSY results in the context of her central theme in her report that the District underestimated Student’s cognitive ability and that he had not made meaningful educational progress. As to executive function, Dr. Simun’s report listed significant deficits as to his ability to move from one topic to another and problems with attention and inhibition. Student had significant deficits as to his visual perceptual skills and ability to memorize a list of unrelated words without significant practicing. The deficits that Dr. Simun found corresponded to those in Ms. Alibitre’s assessment and observations by Mr. Sportel in his SDC. Dr. Simun failed to explain the relevance of her NEPSY scores. Dr. Chidekel, who is qualified to administer the NEPSY, established that Dr. Simun failed to properly administer the NEPSY and did not properly interpret the results. 13 After the District agreed to the psychoeducational IEE, a dispute arose regarding Dr. Simun conducting the IEE. Parents paid for Dr. Simun to perform the neuropsychological assessment, and Parents sought reimbursement as part of the complaint. The District reimbursed Parents during the hearing, and Parents withdrew this issue. 14 NEPSY is not an acronym. 65. Dr. Simun administered the Grey Oral Reading Test, Fourth Edition (GORTIV). Student’s scores demonstrated significant deficits as to his reading rate, accuracy, fluency and comprehension as his scaled scores in all areas were either one or two with the median score being 10. Dr. Simun interpreted these scores to show that Student had not made adequate educational progress with the District’s reading program. However, the problem with Dr. Simun’s analysis was that she presumed Student to be of near average cognitive ability. Because Dr. Simun’s report presumes that the District significantly underestimated Student’s cognitive ability based on her own faulty testing, her analysis of the GORT-IV is not reliable. 66. As to Student’s behavioral needs, Dr. Simun opined that her findings on the NEPSY were consistent with Student having attention deficit hyperactivity disorder (ADHD). However, Dr. Simun did not explain why, if Student’s NEPSY scores were consistent with ADHD, he was on task during her observation of him in Mr. Sportel’s SDC. Additionally, in determining that Student had significant attention and behavior problems that the District failed to address, Dr. Simun over relied on information from Parents as to problems at home, and downplayed information from her observation, Student’s educational records and Mr. Sportel as to Student’s lack of attention and behavior problems at school. 67. Due to the significant errors in Dr. Simun’s testing, her failure to adequately explain the relevance of her test results and “cherry picking” information that fit her hypothesis, Dr. Simun’s report recommendations for the development of an appropriate educational program for Student are to be afforded little weight. Dr. Simun developed the recommendations with the presumption that Student had not made adequate educational progress based on her overestimation of Student’s cognitive ability and that Student demonstrated attention and behavioral deficits at school that did not exist. Therefore, Dr. Simun was not credible in her opinion that the District had inaccurate information regarding Student’s performance and subsequently developed an inappropriate educational program for Student. 68. Student disagreed with Ms. Anderson’s May 2009 OT assessment, and for purposes of this hearing, the area of disagreement is whether Ms. Anderson properly assessed Student’s sensory processing needs. Student contends that Susan Leech, who conducted the IEE in December 2009, needed to administer formalized sensory processing testing, such as the SIPT, and obtain more information from Parents as to any sensory processing deficits. Parents asserted that Student demonstrated oversensitivity to sound and would decompensate when he got home because of the intense effort he exerted at school to stay on task. The District asserts that Ms. Leech properly assessed Student’s sensory processing needs, and that he did not have sensory processing deficits. 69. Ms. Leech is qualified to conduct the IEE based on her education, experience and training. Ms. Leech has a master of science in OT, an Ed.D. in educational technology, and is a California licensed OT provider. Ms. Leech has extensive experience as a school-based OT provider and has conducted several hundred OT assessments. Ms. Leech is also a college instructor in the area of OT and is certified to perform the SIPT. 70. Ms. Leech assessed Student in December 2009. For the IEE, Ms. Leech reviewed records related to Student’s OT services, Ms. Albitre’s psychoeducational assessment, Ms. Anderson’s OT assessment, and Ms. Woleslagle’s APE assessment. Ms. Leech did not interview Parents for the IEE, but did get general information as to their concerns when they dropped Student off at the District offices for her assessment. Ms. Leech observed Student in his SDC. Ms. Leech administered the Sensory Profile School Companion, which is a questionnaire to assess the frequency of a student’s responses to a variety of environmental and body sensations and classroom behaviors. Mr. Sportel completed the questionnaire, which appropriately found that Student did not have sensory processing deficits that required further testing. In Ms. Leech’s observation, Student was attentive, doing his work as directed and demonstrated no problem with sensory processing. This was corroborated by Dr. Simun’s classroom observation in which she did not observe Student demonstrating sensory processing deficits. 71. While Student may have decompensated when he got home because of the effort he put into staying focused at school, Student did not display these problems at school. Student did not complain about loud sounds at school, appear more distracted then his SDC and general education peers, or display any difficulty processing sensory inputs. Therefore, Student did not establish that the District needed to conduct more formal testing in the area of sensory processing. 73. Ms. Schnee’s speech and language IEE confirmed Student’s eligibility for special educational services under the criteria of speech or language impairment. Student had processing deficits in comprehending language, and needed oral directions to be repeated to understand them. Student had difficulty in shifting from one task to another without clear explanations, and difficulty understanding the perspective of others, which related to his social skills deficits. Ms. Schnee noted that while Student’s poor phonological processing abilities affect his ability to decode for reading that he has mastered some decoding skills, which showed that he could improve his skills. Ms. Schnee recommended that the District use a wireless FM system to allow Student to hear his teacher better and focus his attention, plus audio books. She also recommended a quiet learning environment to reduce distractions, to present information to Student in small chucks, and to repeat directions to allow Student to more easily transfer the information into his long-term memory. 74. Ms. Firemark confirmed in her CAPD assessment Student’s CAPD. While Student’s hearing was normal, his processing disorder affected how he processed what he heard. Student favored information coming into his right ear. By his age, children should process information about equally into the left and right ears. Student’s failure to process information equally in his ears led to difficulty processing rapidly changing topics and multiple step instructions, and not understanding verbal social cues. Ms. Firemark found that Student could repeat words in the presence of noise, which correlated to Student’s performance in Mr. Sportel’s SDC and Student’s general education classes. Ms. Firemark recommended a small class size and quiet learning environment, for instructions to be done in short phrases, to be repeated and for Student to repeat back instructions to ensure understanding. The District provided these accommodations in Mr. Sportel’s SDC. Additionally, Ms. Firemark recommended a wireless FM as an accommodation for his CAPD deficits. 75. AT devices or services may be required as part of the child’s special education services, related services, or supplementary aids and services. An AT device is any item used to increase, maintain or improve the functional capabilities of a child with a disability. To determine if a student requires such AT services, a school district must evaluate a student’s need for AT services. 76. Student asserts that the District needed to conduct a formal AT assessment based on information in Dr. Simun’s and Rosalyn Firemark’s assessments. The District asserts that the information in the assessments did not call for a formal AT assessment, as the appropriate method is to try out AT devices or services to determine their effectiveness over time, which the District was doing with Student during SY 2009-2010. 77. Ms. Anderson has extensive training with AT and is qualified to conduct an AT assessment. During third grade, Ms. Anderson used simple AT devices, such as sticky notes, to help Student maintain organization. During fourth grade, Ms. Anderson used electronic devices, such as a hand-held spell checker and predictive software when Student used the computer. Ms. Anderson used these devices to assist Student in making writing easier due to his memory deficits so he could better express himself. Ms. Anderson worked with Student on learning to use the hand-held speller and predictive software, and Student demonstrated the ability to learn to use these devices. The fact that Ms. Anderson used these AT devices did not require an AT assessment. Student did not demonstrate an AT assessment would uncover any additional information than what Ms. Anderson already reported through working with Student. The District already had sufficient information from the other assessments as to Student’s areas of suspected disability. 78. Student also asserted that the District taught him to use a computer, which demonstrated his need for an AT assessment. However, the District did not have Student learn to use a computer because of his writing problems. Instead, Student learned computer skills because his general education classmates were learning these skills. Ms. Tomsha’s class had weekly time at Canalino’s computer lab, which Student attended in the afternoon with his general education classmates. The District expected fourth grade students, including Student, to start learning computer skills. Therefore, the District was not teaching Student computer skills as a replacement for him to complete assignments by hand. Student did not demonstrate that he needed to complete his work by computer to receive a FAPE. 79. Student contends that Dr. Simun’s assessment put the District on notice that it needed to conduct an AT assessment. However, Dr. Simun’s assessment provided the District with little new information regarding Student’s areas of suspected disability that would require the District to conduct a formal AT assessment. 80. The fact that Ms. Firemark recommended an FM system did not require the District to conduct an AT assessment. Ms. Firemark assessed Student in an area of suspected disability, central auditory processing, and obtained information as to his strengths and weaknesses, and based on this information made recommendations, such as the FM system. Similarly, Ms. Anderson obtained information about Student from working with him, along with her OT assessment, and based on that information developed recommendations for AT devices. Student did not establish what new information an AT assessment would provide to require the District to conduct a formal assessment. The District assessed Student in all areas of suspected disability and based on the assessment information as to Student’s unique needs developed recommendations for AT devices and services. 81. The District convened the IEP team meeting on February 8, 2010, to discuss the assessment results. Parents attended the IEP team meeting with their advocate. Dr. Simun and Ms. Leech presented their assessment results in person at the IEP team meeting, while Ms. Firemark and Ms. Schnee presented by phone. Mr. Sportel presented Student’s present levels of performance as to his reading and math. Parents and their advocate raised concerns about the level of progress Student had made, especially in his reading, and wondered whether Open Court was the appropriate reading program for Student. The District stated that it was willing to discuss other reading programs, and LMB was briefly discussed. Because the purpose of this IEP team meeting was to discuss the recent assessments, the District had not brought forth any proposed changes to the June 2009 IEP. The District agreed at the end of the IEP team meeting to develop new proposed goals and to convene another IEP team meeting. 82. The IEP reconvened on February 28, 2010. Parents attended with their advocate. Dr. Simun attended this meeting. During the break between IEP team meetings, Parents obtained a private LMB reading assessment. Janelle Ashby, site director of LMB’s Santa Barbara office attended a portion of the February 28, 2010 IEP team meeting to discuss the LMB assessment she conducted, and her recommendation that Student receive intensive reading instruction from LMB. During the IEP team meeting, Parents requested that the District fund private reading and math instruction through the LMB Learning Center. District team members discussed Student’s present levels of performance, and the IEP team discussed the District’s proposed goals. The IEP team meeting ended abruptly due to a dispute between Father and Ms. Rech, District’s special education director. 83. On March 1, 2010, the District denied Parents’ request for LMB services in a letter. The parties reconvened the IEP team meeting on May 14, 2010. Parents attended the IEP team meeting with their advocate. None of the private assessors attended the IEP team meeting. The IEP team members continued discussion of the District’s proposed goals, Student’s present levels of performance, progress on the October 2008 goals, use of AT devices, Parents’ continued request for LMB services, and the District’s offer of services and accommodations. Parents did not consent to the District’s IEP offer and enrolled Student at the LMB Learning Center in August 2010 to the present, where he attends the program for three hours a day, arriving at Mr. Sportel’s SDC between 11:30 and 11:45 a.m.
84. Student contends that the assessment performed by the LMB Learning Center establishes that the District’s offer of reading services and goals was not adequate to meet his unique needs, and that the District needed to have offered services from the LMB Learning Center. The District challenges the validity of the LMB assessment, and the recommendations made by Ms. Ashby. 85. Ms. Ashby has a master’s in education with specialization in reading, and has worked with LMB Learning Center since 1996. Ms. Ashby has extensive experience and training with the LMB programs, the assessment test instruments used in the standard LMB Learning Center assessment protocol, and reading deficits and remediation. Ms. Ashby has not worked in a school. Ms. Ashby assessed Student on February 23, 2010, to determine Student’s reading ability and instructional strategies that would work with him. Before the assessment, Ms. Ashby reviewed Dr. Simun’s neuropsychological report that Parents gave her. However, Parents did not give Ms. Ashby a copy of the District’s June 2009 triennial assessments or Student’s IEPs. 86. The LMB Learning Center assessment protocol contains current, validated test instruments, like the Peabody Picture Vocabulary Test, Fourth Edition (PPVT-IV), GORTIV, Wide Range Achievement Test, Fourth Edition (WRAT-IV), and Woodcock Johnson Reading Mastery (WJRM). The LMB Learning Center testing battery contained outdated test instruments, such as prior versions of the Detroit Test of Learning Aptitude and GORT. For the Lindamood Auditory test, insufficient proof was provided if it was properly normed. Based on the LMB assessment, Ms. Ashby recommended an intensive reading program through the LMB Learning Center, four hours a day, five days a week, for an initial period of 240 to 300 hours to examine his progress and to determine if further services were needed, and if so which reading services. Ms. Ashby recommended that LMB Learning Center math instruction be examined after the initial service period. 87. On the validated test instruments, Ms. Ashby’s assessment did not discover information that prior assessments did not disclose. Student demonstrated strength with his vocabulary as on the PPVT-IV, Student had a standard score of 96, which is near average. On the WJRM, Student’s reading score was in the second grade, which Mr. Sportel reported at the IEP team meeting. Ms. Ashby’s results on the GORT-IV mirrored those from Dr. Simun. On the WRAT-IV spelling subtest, Student was at the second grade level, which Mr. Sportel reported at the IEP team meeting. 88. Ms. Ashby gave no opinion whether Student was making adequate progress with the District’s reading program. Instead, Ms. Ashby’s recommendations were based on her experience in the LMB program and not based on special education criteria for educational progress. Additionally, Ms. Ashby based her recommendations that Student was of about average cognitive ability on Dr. Simun’s report, and not the more accurate information in the District’s triennial assessment that established Student’s significant cognitive deficits. Finally, Ms. Ashby’s explanation that outdated test measures were only used to determine instructional strategies and not for eligibility for LMB services established that the outdated tests were used to determine which LMB reading programs would be effective based on Student’s learning style. Therefore, Ms. Ashby’s assessment did not provide information that the IEP team members did not already possess, nor establish that Student could not make meaningful educational progress with the District’s reading program. 89. Under the IDEA, parents of a child with a disability must be afforded an opportunity to participate in meetings with respect to the identification, assessment, educational placement, and provision of a FAPE to their child. A district must fairly and honestly consider the views of parents expressed in an IEP team meeting, including information from private assessors. While school officials may discuss a child’s programming in advance of the IEP team meeting, they may not arrive at an IEP team meeting with a “take it or leave it” attitude, having already decided on the program to be offered. A district that predetermines the child’s program and does not consider the parents’ requests with an open mind has denied the parents’ right to participate in the IEP process. 90. Student asserts that the District did not consider information presented by Dr. Simun in the February/May 2010 IEP team meetings and refused to consider Student’s request for LMB services. The fact that the District did not agree with all of Dr. Simun’s findings did not mean that the District failed to consider her information. Questions raised by Ms. Rech as to possible inconsistencies in Dr. Simun’s report and request for explanations of how Dr. Simun reached her conclusions were based on Ms. Rech’s 30 years of experience in special education. Ms. Rech’s concerns about the validity of Dr. Simun’s report were borne out by the fact that Dr. Simun made subsequent changes to her report to reflect questions and concerns raised at the February 2010 IEP team meetings. However, the District did not receive a copy of her corrected report. Additionally, Dr. Chidekel previously described the errors in Dr. Simun’s testing and lack of support for many of her recommendations. Finally, the District did agree to some of Dr. Simun’s recommendations at the February 26, 2010 IEP team meeting when the District presented proposed goals, such as the sight-word goal. Therefore, the District did consider information presented by Dr. Simun as it was not required to adopt all of Dr. Simun’s findings and recommendations, especially that the District needed to develop goals to move Student towards grade equivalency. The District had significant concerns regarding the validity of Dr. Simun’s report, which were later borne out. 91. Student contends that the District never considered Parents request that the District pay for Student to receive LMB reading instruction. Parents and their advocate did not raise as an issue at the February 8, 2010 IEP team meeting that the District provide Student with LMB reading services, even though they had planned for LMB to assess Student. Ms. Rech was familiar with LMB teaching methodology, as she had received training in LMB’s Seeing Stars and Visualizing and Verbalizing reading programs. She was aware that some of the tests instruments used in the standardized LMB assessment were outof-date, and raised that concern with Ms. Ashby at the February 26, 2010 IEP team meeting. Student attempted to show at hearing that Ms. Rech’s knowledge of the LMB reading programs was outdated. However, Ms. Ashby testified that while LMB had updated the training, the reading programs Ms. Rech was taught had not changed. 92. At the February 26, 2010 IEP team meeting, the District listened to Ms. Ashby’s presentation and discussed Student’s progress in the District’s Open Court reading program. The District also discussed briefly, Parents’ request for LMB services, five days a week for four hours a day for 12 to 16 weeks, before the IEP ended abruptly. On March 1, 2010, the District sent Parents a letter that formally denied Parents’ request. When the IEP reconvened on May 14, 2010, the IEP team members again discussed LMB services and the District’s reading program. Parents and their advocate presented no new information regarding Student’s need for LMB services at the May 14, 2010 IEP team meeting. 93. The fact that the District denied Parents’ request for LMB services on March 1, 2010, did not mean that the District did not consider Parents’ request and predetermine its IEP offer. The District simply did not agree with Parents’ contention that Student required LMB services to make meaningful educational progress. Ms. Rech had sufficient knowledge of LMB from her experience and information as to Student’s progress from all the information presented at the February 2010 IEP and prior IEP team meetings that Student did not require LMB services. The District team members listened to Parents’ request at the May 2010 IEP team meeting, but no new information was presented that would require the District to change its mind. Dr. Chidekel established at hearing that the District was correct to have concerns about Dr. Simun’s report and to reject her conclusions. Therefore, the District did not predetermine its offer as it did consider information from Dr. Simun and Parents’ LMB request, but simply did not agree with them. 94. Student contends that the District’s 2010 proposed academics, behavior, social skills, and motor skills goals would not permit him to make meaningful educational progress because the District did not attempt to close the achievement gap between Student and his typically developing peers and failed to address his behavioral and sensory processing deficits. The District asserts that its proposed goals adequately addressed his unique needs as the District developed the goals based on accurate information, including information from private assessors, and realistic expectations as to Student’s cognitive abilities. 95. Student contended that the District’s proposed goals were not adequate to meet his unique needs because the goals did not close the achievement gap between his present level and grade level work. As to reading, Student was progressing through the second grade levels with the Open Court reading program, taking Open Court tests independently and his interest in reading was increasing. With spelling, Student was on third grade words and required retesting to ensure that he properly spelled words as he did not regularly pass spelling tests on the first attempt. Dr. Simun’s WJTA-III results showed that Student’s reading was still progressing at about the same rate as the prior WJTA-III testing indicated. 96. Although the IEP team did not have results from Student’s April 2010 California Modified Assessment (CMA) at the time of the May 2010 IEP team meeting, the CMA results corroborated his progress. The CMA is used for students whose disability prevents them from achieving grade level proficiency. The CMA is a standards based test that allows for modifications and accommodations due to a student’s disability. For third grade in English Language Arts, Student had a score of 313, which increased a year later to 323. Both scores are basic with 350 being a proficient score. Student’s CMA scores showed that he was making progress as he moved closer to a proficient score. 97. The District proposed two comprehension goals. The first goal was for Student to follow a two-step written and/or verbal instruction by repeating the instruction with one prompt, with 100 percent accuracy in four out of five trials, which addressed a concern in Ms. Firemark’s assessment. The other comprehension goal was for Student to independently read a 2.5 grade level passage, answer multiple-choice questions, and identify answers in the text with 75 percent accuracy in three out of four trials. As to sight words, the District proposed for Student to correctly read 450 words on the high frequency word list without teach cues and within five seconds with 75 percent accuracy in three out of four trials. Because of Student’s difficulty in blending vowel sounds and blending consonant and vowel sounds when sounding out words, which affected his ability to decode words, the District proposed for Student to properly sound out these blends in isolation and in novel words with 80 percent accuracy in five trials. 98. Student’s critique of the District’s proposed reading goals focused on the goals’ failure to bring up Student’s performance closer to grade level. However, Student’s challenge to the District’s proposed goal was based on an overestimation of his cognitive abilities. The District’s prior goals had allowed Student to make meaningful educational progress, and the District updated the goals based on his present levels of performance and additional information from the recent assessments. Student’s reading performance was commensurate with his cognitive ability. Therefore, the District’s proposed reading goals were appropriate for Student to make meaningful educational progress. 99. The District proposed annual writing goals for legibility and organization, including OT and AT goals to assist Student’s writing, by handwriting or computer. Student continued to have problems properly spacing out letters and words, although his writing was legible to Student and his teachers. The District proposed a goal for Student to print legibly with proper spacing with 95 percent accuracy in four out of five sentences in five writing samples. For writing revision and editing, the District proposed for Student, using a graphic organizer, to revise his sentences to improve organization, structure, mechanics, punctuation and descriptive detail, with 75 percent accuracy in four out of five trials, based on work samples. For Student’s fine motor skills, the District proposed that Student would tie a bow on his shoe by completing all eight steps, without prompts, in four out of four trials. 100. For assistive technology, which would help with Student’s ability to write assignments more easily, the District proposed a keyboarding goal for Student to demonstrate correct finger positioning when completing 10 minutes of practice in four out of four trials. The District also proposed a goal regarding Student’s use of a hand-held spell checker and predictive computer software for Student to correctly spell four out five words at his reading level related to phonetic spelling in four out of five sessions. 101. The District appropriately developed these goals based on Student’s present levels of performance and information from the June 2009 triennial and subsequent private assessments as to Student’s unique needs. Student did not show why the District’s writing goals were not sufficient. Ms. Anderson and Ms. Leech established the appropriateness of the District’s proposed writing, OT and AT goals based on their assessments and working with Student. Student did not establish that the District’s goals were based on the District’s underestimation of his abilities. Therefore, the District’s proposed writing and AT goals were reasonably calculated to allow Student to make meaningful educational progress. 102. As with reading, Student challenged that District’s proposed math goals underestimated his behaviors. The Student’s evidence at hearing regarding his math performance and abilities was very limited, except in regard to how his reading deficits limited his ability to perform word math problems. 103. Student was making meaningful educational progress as to math, and the District’s math goals were designed to build upon his prior success. Student had demonstrated the ability to add and subtract with regrouping, but had difficulty when these problems were mixed. Therefore, the District appropriately proposed an updated goal for Student to add and subtract 10, three-digit number sentences with regrouping and to perform these problems with 80 percent accuracy in four out of five trials. The District proposed a money goal for Student to add and subtract using coins and bills for him to understand decimal notations with 75 percent accuracy in four out of five trials. 105. Student asserted that the District underestimated his OT sensory processing, behavioral and social skills deficits, because the District failed to consider information that other students bullied him, toileting issues, and behavior problems related to his sensory processing deficits. The District asserted that its proposed social skills goals were appropriate and that it need not develop goals related to bullying or sensory processing because Student was not being bullied on campus and he did not have sensory processing deficits that interfered with his ability to access the curriculum. 106. At the time of Dr. Simun’s classroom observation, there was a toileting incident. Student told Parents that he did not like going to the school bathroom and would wait until he got home, because of an incident in the bathroom in which schoolmates refused to let him leave. The District admitted that the incident happened and that it took steps to ensure that it did not happen again, and there is no evidence from Mr. Sportel, Student’s fourth and fifth grade general education teachers, or his instructional aides as to any further bullying incident and toileting problems. As to social skills, Student did have significant deficits initiating play with typically developing peers and properly maintaining interaction, but there was no report of bullying from Parents, Student or school personnel who observed Student during recess. Also, Student’s focus that the District needed to use a specialized social skills curriculum for him to make adequate progress failed to take into consideration that social skills training from the speech and language therapist and goals that the District had provided permitted him to make meaningful educational progress. Therefore, the District did not have to develop a specific goal regarding bullying or toileting issues. 107. As noted in the discussion regarding Ms. Anderson’s and Ms. Leech’s OT assessments, Student did not display sensory processing deficits that prevented him from accessing his curriculum. Student did not display behavioral problems in Mr. Sportel’s SDC, his regular education teachers did not find his behavior to be disruptive to their classes and he was able to sustain attention to his work. Therefore, Student did not establish that he required OT sensory processing or behavior goals in his IEP to receive a FAPE. 108. As to Student’s social skills needs, the District proposed goals for Student to verbally label facial expressions and communication skills to improve Student’s ability to use bridging comments to help him share ideas and opinions in and out of class. The District’s proposed APE goal worked on Student’s social skills for him to understand the rules of the games in which he participated. Student did not challenge the appropriateness of these goals, just that the District needed to include additional goals to address issues regarding bullying and behavior. Therefore, because Student did not require goals regarding bullying and behavior, Student did not establish that the District’s proposed goals were not reasonably calculated to allow him to make meaningful educational progress. 109. Student challenges the District’s offer of AT services for not being adequate to meet his unique needs, while the District asserts that it offered adequate AT services. At the time of the February/May IEP team meetings, the District was using the hand-held speller, predictive computer software, and audio books. The District was providing Student with assistance in using the computer in the SDC and general education class. The District also proposed using highlighters and graphic organizers to help Student organize his work, and headsets to block out noise if Student wanted to wear them. 110. Ms. Firemark recommended in her assessment report and at the IEP team meeting that the District try a three-month trial period for a mild FM amplification system, designed for persons with normal hearing. The teacher would wear a wireless microphone and Student would have a headset. Ms. Firemark recommended this AT device because even though Student had normal hearing, he was significantly right-ear dominant. Although Ms. Firemark did not testify, her report recommended the FM system to give Student information in both ears and to allow him to hear over the ambient classroom noise. Ms. Schnee also recommended that that the District try an FM amplification system. Ms. Rech asked questions of Ms. Firemark at the IEP team meeting, but did not raise any objection for the District trying out the wireless amplification system. 111. The District did not object to the FM amplification system on a trial basis. Trying out AT devices to see if they work corresponds with how the District works with AT devices. The District did not note in the February/May 2010 IEP that it would try out the FM system. The District did not explain why the IEP did not set forth that it try out the FM system considering that the District listed other AT devices that it used with Student in the IEP. The District’s failure to include an offer to try out the FM system because of the recommendation in two assessments, including Ms. Firemark’s, violated Student’s procedural rights. This failure to include the trial in the IEP prevented Parents from significant meaningful participation in the IEP process, as Parents did not know that the District would implement the FM system on a trial basis. 112. Student asserted that the District failed to offer adequate specialized instruction to meet Student’s unique needs because of the failure to offer a structured social skills curriculum, failure to offer LMB reading instruction, which needed to occur at the LMB Learning Center, for four hours a day, five days a week, and math instruction through LMB. The District asserted that its educational program provided Student with a FAPE based on the progress that he had shown, and by including changes to the IEP to reflect the additional information from the assessments conducted in late 2009. 113. Regarding Student’s claim for a more specified social skills curriculum, Student did not establish that he had not made meaningful educational progress. Student progressed with the District’s use of the social skills curriculum used for all students at Canalino, and with the speech and language therapist using real life situations on the playground, interspersed with formal instruction during the speech and language sessions focused on social skills. Student made adequate progress on his social skills and his teachers saw improvement with his ability to interact with SDC and general education classmates. The District’s offer to continue this successful social skills instruction was reasonably calculated to permit Student to make meaningful educational progress. As to the one-to-one aide, the District offered the continuation of the aide during general education mainstreaming. 114. As to reading, during the IEP team meetings the District reported on Student’s progress in Open Court, Avenues, and his learning high-frequency sight words in which he had made meaningful educational progress. Student argued that the District’s reading programs were not on a CDE list of approved intensive reading programs. This contention bypasses the fact that Student made meaningful educational progress with the District’s reading program. The District’s focus on having Student learn whole words tied into his strength with rote memory and this would allow him to focus on harder words that he needed to sound out to read. In fact, Dr. Simun, in her report and at the February 8, 2010 IEP team meeting, favored a whole word approach for Student to learn reading due to processing deficits. It was only after Parents stated their preference at the February 26, 2010 meeting, that Student attend the LMB Learning Center, that Dr. Simun changed her mind. Dr. Simun’s testimony that she changed position based on the information presented at the February 26, 2010 IEP team meeting about the efficacy of LMB is not convincing because of her failure to acknowledge the progress Student made in the District’s program. Additionally, the information in the LMB assessment and Ms. Ashby’s presentation did not demonstrate that Student required a LMB reading program to make meaningful educational progress. 115. The proposed LMB reading program would have Student miss most of the school day, four hours a day, in which Student would not have access to peers. Further, Student’s absence from Canalino for most the school day would limit his ability to receive the APE, speech and language and OT services he needed to make meaningful educational progress. While the LMB instructional programs, like Seeing Stars or Visualizing and Verbalizing, could assist Student’s reading, Student did not demonstrate that he was not making meaningful progress with the District’s program based on his cognitive abilities, unique needs and the two hours a day of English language instruction in Mr. Sportel’s SDC. 116. Regarding math, Student’s challenge to the District’s program focused primarily on the District’s failure to address his reading deficits, which did not allow him to read properly his math problems and that Student required LMB services. Student did not present adequate evidence that his deficits in performing math computations were the result of his cognitive deficit and related processing deficits. Therefore, Student did not prove that the District’s math program did not permit Student to make meaningful educational progress. 117. At the time of the February/May 2010 IEP team meetings, the District was in the midst of reviewing possible changes to its reading program for all kindergarten to fifth grade students. The District was piloting the Excursions reading program in some of its classrooms, but not with Student’ SDC. Excursions is a CDE-approved reading program, designed to address all five reading areas: reading comprehension, phonics, phonemic awareness, fluency, and vocabulary. The District eventually adopted Excursions and is using it in its elementary classes, including Mr. Sportel’s SDC. Mr. Sportel and his aides received training during the 2010 summer. Student does not participate in Mr. Sportel’s English language arts instruction because he is at the LMB Learning Center, and therefore has not used Excursions. 118. Student attempted to prove that Excursions would not meet Student’s unique reading needs because it was not on CDE’s list of intensive intervention programs. However, an intensive intervention program is designed to accelerate a student’s reading from two or more grades below grade level to basic at grade level. Student, due to his cognitive deficits and related processing deficits, will not read at grade level due to his deficits even with intensive remediation. Therefore, it is irrelevant if Excursions is a CDE-approved intensive intervention program because the evidence established that Student will not be able to read at grade level. Additionally, Student did not establish that Excursions, if implemented properly, would not allow Student to make meaningful educational progress. Therefore, Student did not establish that District’s offer of specialized instruction and placement was not reasonably calculated to provide him with a FAPE. 119. On July 28, 2010, Student’s counsel wrote the District to indicate the portions of the February/May 2010 IEP Parents consented to. Parents consented to the District’s offer for speech and language, OT and supplementary services and accommodations, even though Parents did not believe that the District’s offer was adequate. Parents consented without comment as to the APE services. Subsequently, District’s counsel contacted Student’s counsel about which specific goals Parents provided consent. On September 17, 2010, Student’s counsel informed the District that Parents consented to all of the District’s proposed goals in the February/May 2010 IEP, except the four proposed reading goals. 120. As noted previously, Student misses most of Mr. Sportel’s class because he attends the LMB Learning Center. Due to these daily absences, Student misses all of the English language arts instruction and all but 15 to 30 minutes a day of math instruction before the lunch recess and then Student attends his fifth grade general education class. Student’s attendance at LMB for most of the school morning has required the District to reschedule his related services and he has not received all of the speech and language, OT and APE services in his IEP. 121. The purpose of the October 8, 2010 IEP team meeting was to further discuss Parents’ request for LMB, his progress in the LMB program and whether Student could receive a FAPE while LMB for most of the school morning. Parents presented information as to Student’s progress at LMB, which they stated established that he made significant progress. The IEP team members also discussed bullying, toileting and Student’s behavior. Student asserted that the District needed to modify the February/May 2010 IEP to provide for the LMB services Parents requested, along with additional goals and services to address issues related to bullying, toileting and Student’s behavioral deficits. The District contended that the information presented at this meeting just further reinforced its prior IEP offer. 122. As to bullying and toileting, Parents reported that they were not aware of any specific problems so far this school year, and Mr. Sportel and Ms. Persoon did not report any problems. As to behavior, Parents expressed again their belief that the District was not meeting his behavioral needs as he required a behavior support plan and that the one-on-one aide was not providing sufficient support. Ms. Persoon was convincing that Student did not have a behavior problem during individual work, when he interacted with his general education classmates during group instruction, and when the aide was properly monitoring Student and providing assistance when needed. Regarding the FM amplification system, the District stated that it was available in Mr. Sportel’s SDC, but District had not used it because of Student’s lack of time in the class. Therefore, Student did not establish that the District needed to add goals and services to the February/May 2010 IEP to address regarding bullying, toileting and behavior, and that District failed to implement the FM system. 123. Regarding the continuing LMB request, the information presented the IEP team meeting did not warrant any change in the educational program. Student contended that he started LMB, proficient at the kindergarten to first grade level in the various levels of LMB instruction and in the few weeks of LMB he had progressed to third grade material. However, Student was working on second grade material at the end of SY 2009-2010 in the District and would have been working on third grade material if he remained in Mr. Sportel’s SDC for English language arts instruction for SY 2010-2011. The additional LMB Learning Center testing performed after the October 2010 IEP team meeting did not establish that Student made the rate of progress asserted based on inadequacies in the LMB Learning Center testing battery. Finally, Ms. Rech’s observation of Student at the LMB Learning Center established that he was working on third grade material, that his reading comprehension had not significantly improved and that while Student enjoyed the one-to-one teaching, it was not required for him to make meaningful educational progress. Therefore, Student did not establish that he made the level of progress with LMB instruction that he contends or that District’s offer was not reasonably calculate to provide Student with a FAPE. 124. Student also attempted to establish that the District was not providing all the related services from the February/May 2010 IEP. Student’s absence for most of the morning to attend LMB prevented the District from being able to provide all the related services. However, the District attempted to the best of its ability to provide Student with the related services. Because the District’s inability to provide these related services was caused by Student’s unilateral placement at LMB, and since the District’s February/May 2010 IEP provided Student with a FAPE, the District did not materially fail to implement Student’s IEP. 125. On June 11, 2010, Student’s counsel sent Ms. Rech a letter requesting a complete copy of Student’s records, from all District locations, which included “special education records, cumulative, academic, attendance, transportation, disciplinary, mental health/medical, correspondence, confidential, etc…” Student contends the District’s failure to produce: (1) its assessors’ test protocols; (2) emails regarding Student that were not kept in his central file; and (3) service logs from the service providers violated his procedural rights because it denied Parents the ability to meaningfully participate in the educational decision making process. The District asserted that it provided Parents with a copy of required records, and that Student did not demonstrate that Parents could not participate in the decision-making process over any purported failure to produce requested documents. 126. The District did not produce the District assessors’ test protocols until right before the commencement of the hearing in response to a direct request from Student’s counsel. The District did not produce the records because it felt that the test protocols were not included in the June 11, 2010 records request. Student did not explain why his counsel waited until the eve of hearing to request a copy of test protocols if they were needed to assist Parents in the decision-making process, especially for the October 8, 2010 IEP team meeting or the weeks preceding the due process hearing for preparation. Thus, Student did not demonstrate that Parents were not able to participate in Student’s educational decision-making process because they did not have Student’s test protocols. 127. As to the service provider logs, Ms. Rech could not explain why she did not ask Student’s teachers and service providers to check their files to see if they had records, such as the service provider logs, that might be responsive to the records request. The District does have a records policy that teachers and service providers have as to the records they need to ensure are in a student’s cumulative records, but not to double check when a records request is received. The service logs are important to Parents to determine if the District is providing Student with the IEP services and assists in the decision-making process. However, Student did not show how Parents’ ability to participate in educational decision-making process was significantly impacted because the District provided the related services in his IEP. For SY 2010-2011, the District has attempted to provide these IEP services to the best of its ability with Student’s absence, and Student does not dispute that the District provided the services it said it did. Therefore, Student did not establish that he suffered any loss of educational benefit or Parents could not participate in the educational decision-making process without the requested records or that the District’s offer, which was appropriate, would have been changed at the October 2010 IEP team meeting. 128. As to the emails, the District did not keep copies of emails in Student’s main file. District personnel kept emails as to Student in their District email accounts or printed out for their personal use. Student did not establish why the District needed to keep copies of Student’s emails in the main file or the relevance of any email as to Parents’ educational decision-making process. 129. The District should have contacted Student’s teachers and service providers to find out if they had records that might be responsive to the records request, such as service logs, but Student did not demonstrate that this failure significantly prevented Parents from participating in Student’s educational decision-making process. Additionally, Student did not establish that the District needed to produce copies of emails related to Student in District’s staff personal files or the District’s email servers or that the failure to get a copy of test protocols prevented Parents from participating in the decision-making process. Therefore, Student did not demonstrate that the District violated Student’s procedural rights. Issue 2a: Did the District deny Student a FAPE by failing to assess or appropriately assess him in all areas of suspected disability by failing to conduct an AT assessment after February 2010, despite information presented at the February/May 2010 IEP team meetings and recommendations made by Dr. Simun and Ms. Firemark? 11. Student contended that the information in Dr. Simun’s and Ms. Firemark’s assessments established the District’s need to conduct an AT assessment in 2010. Pursuant to Factual Findings 75 through 80 and Legal Conclusions 7 through 10, the District was aware of Student’s suspected disabilities, such as fine motor and processing deficits, and that Student could benefit from AT devices and services. AT involves devices and services that a student could use to access the curriculum that a student might not be able to do because of the student’s disability. Ms. Anderson, who has extensive experience with AT devices and services, was working with Student with a hand-held spell check and predictive computer software to see if these devices worked on a trial basis, which they did. Ms. Anderson’s approach was confirmed by Ms. Leech, who also has extensive AT experience and did not recommend an AT assessment for Student. Finally, Ms. Firemark’s assessment recommended that the District have a three-month trial use of the wireless FM system to determine its effectiveness, which the District agreed to do, rather than a formal assessment. Therefore, Student did not establish that the District needed to conduct an AT assessment. The District had assessed Student in all areas of suspected disability and had sufficient information to determine which AT devices and services to use during a trial period. Issue 2b: Did the District deny Student a FAPE by failing to assess or appropriately assess him in all areas of suspected disability by not including standardized testing for sensory needs in the District’s December 2009 funded OT IEE? 12. Pursuant to Factual Findings 39 through 41 and 68 through 71 and Legal Conclusion 7 through 10, Student did not have sensory processing deficits that required formal, standardized testing. Information from Mr. Sportel, Ms. Anderson, Student’s general education teachers, and Ms. Leech’s OT IEE established that Student did not have sensory processing deficits that affected his ability to access the school curriculum. Student was not overly sensitive to loud sounds or sounds from outside the classroom. Dr. Simun’s observations confirmed the District’s own information that Student was on task during instruction. Therefore, Student did not establish that he required a formal OT assessment testing for sensory needs. Issue 1a: Did the District deny Student a FAPE by violating his procedural rights, which caused him to lose an educational benefit or prevented Parents from meaningfully participating in the educational decision-making process by predetermining its offer of services and placement by refusing to consider Parents’ request for LMB services during the February/May 2010 IEP team meeting? 17. Pursuant to Factual Findings 84 through 93 and Legal Conclusion 7, 8, 13 through 16, the District did not predetermine its placement offer because it considered Parents’ request for LMB services in February 2010 and May 2010 and simply disagreed with Parents because of the level of progress Student made with the District’s program. The District considered the information Parents provided at the February 26, 2010 IEP team meeting, and had sufficient information to decide to reject Parents’ request in March 2010. Parents did not present any additional information at the May 14, 2010 IEP team meeting that would have required the District to change its position. Therefore, the District did not predetermine its denial of Parents’ request for LMB services as the District considered the information and simply did not agree with the request. Information available to the District was sufficient to determine that Student did not require LMB services to meet his reading needs. Issue 1b: Did the District deny Student a FAPE by violating his procedural rights, which caused him to lose an educational benefit or prevented Parents from meaningfully participating in the educational decision-making process by failing to consider information from the January 5, 2010 private assessment conducted by Dr. Simun at subsequent IEP team meetings? 18. Pursuant to Factual Findings 63 through 67 and 89 through 93 and Legal Conclusions 7, 8, 13 through 16, the District considered information from Dr. Simun in her report and information she provided at the two February 2010 IEP team meetings. The District modified some goals based on information that Dr. Simun presented at the IEP team meeting. However, the District rejected the central premise of Dr. Simun’s assessment that Student had much closer to average cognitive ability than the District’s data showed, and Dr. Simun’s belief that the District thought that Student was intellectually disabled. Additionally, Ms. Rech had concerns, later borne out by Dr. Chidekel, that Dr. Simun’s assessment contained numerous errors. Therefore, Student did not establish that the District failed to consider information from Dr. Simun’s assessment and information she presented at the IEP team meetings. Thus, there was no procedural violation that impeded Parents’ right to participate in the IEP process or denied Student an educational benefit. Issue 3a: Did the October 2008 IEP deny Student a FAPE because it failed to include adequate goals in the areas of reading, math, social, and motor skills to meet Student’s unique needs? Issue 4a: Did the June 2009 IEP deny Student a FAPE because it failed to include adequate goals in the areas of reading, math, social, and motor skills to meet Student’s unique needs? Issue 5a: Did the October 2009 IEP amendment to the October 2008 IEP deny Student a FAPE because it failed to include adequate goals in the areas of reading, math, social, and motor skills to meet Student’s unique needs? Issue 6a: Did the February/May 2010 IEP deny Student a FAPE because it failed to offer Student adequate goals in the areas of academics, behavior, social skills, and motor skills to meet his unique needs? 20. Pursuant to Factual Findings 8 through 20, 46 through 55 and 94 through 108 and Legal Conclusions 2 through 6 and 19, the District did not deny Student a FAPE as to any of the above IEP issues for failure to include adequate goals to meet his unique needs. The central tenant of Student’s contention that the District failed to develop adequate goals was that the District underestimated his cognitive abilities and developed goals that failed to move him closer to his typically developing peers in the specified areas. However, the District accurately determined that Student had significant cognitive deficits in its 2009 triennial assessment, but did not, before or after this assessment, consider Student to be intellectually disabled. Ms. Albitre properly assessed Student’s cognitive abilities and noted that his full scale IQ was not an accurate representation of his abilities based on the wide discrepancies of scores. Dr. Chidekel established that Dr. Simun’s assessment was replete with errors as to her testing and analysis of test results and Student’s educational records so that nearly all of Dr. Simun’s recommendations for his educational program were not supportable. (Factual Findings 29 through 38 and 63 through 67.) Additionally, Student made meaningful educational progress with the October 2008 goals, which the District implemented through October 2010. At that time, Parents consented to the proposed goals, except the four reading goals, in the February/May 2010 IEP. 21. As to reading, math and writing, for all years at issue, the District properly developed its goals based on Student’s present levels of performance from class work, formal assessments from District and private assessors, curriculum tests and his progress on goals. For reading, the District properly developed goals for Student to work on whole word language with Student to improve his sight word ability, which would allow to him focus his energy on more difficult words and increase his reading fluency. The District also proposed to work on Student’s comprehension, which was an area of significant deficit due to cognitive and auditory processing deficits. (Factual Findings 9, 13, 16, 47 through 50, 95 through 98.) As to writing, the District properly examined his deficits through Ms. Anderson’s assessment and her work with Student, and properly developed writing and OT goals to improve his writing, which was legible, but needed work on proper letter spacing in sentences. (Factual Findings 11, 51, 52, 99, and 101.) For math, Student’s cognitive and processing deficits made it hard for him keep in his working memory information that he needed to carry and to borrow in addition and subtraction problems. (Factual Findings 9, 10, 13, 14, 16, 47, 53, 54, 102, 103 and 104.) Therefore, the District’s proposed academic goals addressed Student’s unique needs and were designed for him to make meaningful educational progress. 23. The District had more than adequate information regarding Student’s deficits, strengths and weakness, and cognitive ability to properly develop goals. The District’s proposed goals did not underestimate Student’s cognitive abilities, and Student made meaningful educational progress with the October 2008 goals, which the District attempted to update with goals reasonably designed to permit Student to meaningful educational progress in SYs 2009-2010 and 2010-2011. Therefore, Student did not establish that the District’s proposed IEP goals denied him a FAPE. Issue 3b: Did the October 2008 IEP deny Student a FAPE because it failed to offer Student with adequate OT and social skills services to meet his unique needs? Issue 5b: Did the October 2009 IEP amendment to the October 2008 IEP deny Student a FAPE because it failed to include adequate OT and social skills services to meet his unique needs? Issue 6b: Did the February/May 2010 IEP deny Student a FAPE because it failed to offer Student adequate OT, behavior and social skills services to meet his unique needs? 24. Pursuant to Factual Findings 17 through 20, 58, 60 and 105 through 108 and Legal Conclusions 2 through 6, for all school years at issue, the District had accurate information regarding Student’s OT and social skills deficits based on Student’s school performance, work with his service providers and District assessments. Regarding Student’s OT services, Student did not establish that he had sensory processing deficits that the District needed to address with OT services. Additionally, Student did not establish that the District’s OT services were not sufficient to address his fine motor deficits with his handwriting. As to social skills, Student’s criticism of the District’s services focused on the District’s failure to use a formalized social skills curriculum. However, the District did use a curriculum that it used with all elementary students that taught mutual respect and how to handle disputes. Later on, the District began using a formal social skills curriculum with other instructional strategies. Student made meaningful educational progress on his social skills based on the District’s use of various forms of instruction based on information from his teachers, speech and language and other service providers and assessment information. Therefore, Student did not establish that the District failed to provide Student with adequate OT and social skills services. Issue 3c: Did the October 2008 IEP deny Student a FAPE because it failed to offer appropriate specialized instruction, supports and accommodations to meet his unique needs and deficits? Issue 4b: Did the June 2009 IEP deny Student a FAPE because it failed to include appropriate specialized instruction and placement to meet Student’s unique needs? Issue 5c: Did the October 2009 IEP amendment to the October 2008 IEP deny Student a FAPE because it failed to include appropriate specialized instruction, supports, accommodations and placement to meet his unique needs and deficits? Issue 6d: Did the February/May 2010 IEP deny Student a FAPE because it failed to offer Student appropriate placement and specialized instruction, such as the LMB program, to meet his unique needs? 25. Student’s main challenge to the District’s specialized instruction focused on the District’s reading program. Student challenged the District’s main reading programs, Open Court for SYs 2008-2009 and 2009-2010, and Excursions for SY 2010-2011, as not being appropriate for Student. Instead, Student claims that he requires an intensive reading remediation program. Pursuant to Factual Findings 21 through 25, 42, 43, 44, 56 through 62 and 112 through 118 and Legal Conclusion 2 through 6, Student made meaningful educational progress with the District’s reading program during SYs 2008-2009 and 20092010, based on assessment information, class work, and performance on curriculum tests and assessments. Information from the WJTA-III showed that Student’s scaled scores remained constant, which indicated that he was not falling further behind his same-age peers. Student’s reliance on grade equivalence to show that Student had not made adequate progress was not supported by the protocols established by the test’s publishers. Therefore, Student did not establish that he did not make adequate progress with the District’s reading program, Open Court, for SYs 2008-2009 and 2010-2011. 26. As to the Excursions reading program for SY 2010-2011, Student failed to establish that the program could not address Student’s unique needs because Student’s focus was whether Excursions was on CDE’s intensive remediation approved list. However, Student’s argument missed the fact that the CDE list applied to students who needed intensive help to get to grade level, and Student was not shown capable of reaching grade level proficiency due to his interrelated cognitive and processing deficits. (Factual Findings 114, 117, 118 and 123.) Parents’ request for LMB was a methodological preference as Student did not establish that he required LMB versus the District’s reading programs to make meaningful educational progress. 27. As to math instruction, Student made meaningful educational progress based on WJTA-III scores, classroom performance, statewide testing and curriculum tests based on his cognitive and processing deficits. (Factual Findings 23, 24, 42, 43, 44, 57, 60 and 116.) Student did not establish that the District’s math program was not adequate to meet his needs as there was insufficient evidence as to the LMB math program to prove that this program was superior to the District’s program. 28. Pursuant to Factual Findings 42, 43, 44, 84 through 88, 112, 114, 115, 117, 118 and 123 and Legal Conclusions 2 through 6, Student did not require placement in a LMB program to meet his unique needs. Student made meaningful educational progress with the District’s Open Court reading program based on his classroom performance, assessment information, and curriculum and statewide testing. Student’s reliance on grade equivalency scores on the WJTA-III to demonstrate that Student had not progressed was incorrect. Student’s scaled scores, which is the appropriate measure to look to determine progress, showed that Student did progress and did not fall further behind his age peers. Regarding the Excursions reading program, Student failed to prove that this program would not address Student’s unique reading needs. Therefore, the District’s offer in the February/May 2010 IEP of reading instruction at school was reasonably calculated to provide Student with a FAPE. 29. As to other specialized instruction and accommodations that Student might need to receive a FAPE, including social skills and AT, Student did not establish what specialized instruction and accommodations that the District did not provide that he required. (Factual Findings 20, 25, 58, 59, 60, 109, 110, 11 and 113.) Therefore, Student did not establish that the District’s specialized instruction, supports and accommodations failed to provide Student with a FAPE. Issue 6c: Did the February/May 2010 IEP deny Student a FAPE because it failed to offer Student adequate AT services and devices, including an FM amplification system, to meet his unique needs? 30. Pursuant to Factual Findings 75 through 80, 109, 110, 111 and 122 and Legal Conclusions 2 through 6 and 8, the District’s IEP provided Student with sufficient AT devices, except for the District’s failure to make a written offer for the wireless FM amplification system. Other than the FM system, Student did not establish other AT devices that he required to make meaningful educational progress that the District did not provide. As to the FM system, Ms. Firemark recommended a trial implementation to determine its effectiveness, which the District agreed. However, the District failed to include in the February/May 2010 IEP that it would conduct the trial period, which denied Student a FAPE for failure to make a clear written offer. The District subsequently corrected its error by agreeing to conduct the trial during the October 2010 IEP team meeting and would have implemented if Student had attended Mr. Sportel’s SDC instead of attending the LMB Learning Center. Therefore, while District denied Student a FAPE in the February/May 2010 IEP, Student did not lose any educational benefit as the District corrected its error and was ready to implement the FM system, which did not happen due to Student’s LMB attendance. Issue 7b: During the SYs 2008-2009, 2009-2010 and 2010-2011, did the District deny Student a FAPE because it failed to provide him with one-to-one aide support during general education mainstreaming, despite the IEP team’s recommendation of this service? Issue 7c: During the SYs 2008-2009, 2009-2010 and 2010-2011, did the District deny Student a FAPE because it failed to provide him with a full range of supports to allow him to benefit from his general education class? Issue 9b: During SY 2010-2011, did the District deny Student a FAPE by failing to provide Student with adequate one-to-one aide support during general education mainstreaming, despite that the IEP team’s recommendation of this service? 31. Student’s central challenge to the supports provided to during his general education classes focused on the District’s failure to meet his behavioral deficits. However, pursuant to Factual Findings 26 27, 45, 107 and 113 and Legal Conclusions 2 through 6, Student did not have a behavior problem in his general education classes, as established by his three general education teachers. Student properly participated in individual and group instruction and work with the assistance of his one-to-one aide. The District offered Student a one-to-one aide in all proposed IEPs, and provided Student with a one-to-one aide. Student did not establish that the aide had to be constantly working with and next to Student or that he could not work with other students or that his behavior or attention problems did not allow Student to access the general education curriculum. Therefore, Student did not establish that the District failed to provide adequate supports for Student to benefit from his general education classes because Student did not need any additional supports. 32. Pursuant to Factual Findings 21 through 25, 42, 43, 44, 56 through 62, 112 through 118, and 123 and Legal Conclusion 2 through 6, 25 and 26, the District did not have to offer Student a LMB program in October 2010 because Student made meaningful educational progress in the District’s program. Student’s contentions that the District underestimated his cognitive ability and that Student progressed rapidly in the LMB program was in error. Dr. Simun was incorrect in opining that Student had close to average intelligence because of her numerous errors in testing and scoring Student’s tests. Additionally, the LMB assessment incorrectly determined that Student was reading at the kindergarten to first grade level in August 2010, as Student was moving from second to third grade, which was the same level Student was reading in October 2010 with the LMB program. Therefore, the District did not have to offer LMB services at the October 2010 IEP for Student to receive a FAPE. Issue 9a: During SY 2010-2011, did the District deny Student a FAPE by failing to provide Student with adequate math instruction? 34. Because Student arrives at Mr. Sportel’s SDC between 11:30 a.m. and 11:45 a.m., he only receives 15 to 30 minutes of math instruction a day, which is not adequate. However, pursuant to Factual Findings 120 and 124 and Legal Conclusion 2 through 6 and 33, Student’s lack of attendance was caused by the Parents’ unilateral decision to enroll Student’s at the LMB Learning Center, which caused Student to miss math instruction. As stated above in Legal Conclusions 25, 26 and 32, Student did not require attendance at the LMB Learning Center to receive a FAPE. Therefore, Parents, not District, caused any missed math instruction and the District need not rearrange its schedule to provide Student with more math instruction due to the Parents’ unilateral placement. Issue 7a: During SYs 2008-2009, 2009-2010 and 2010-2011, did the District deny Student a FAPE because it failed to implement Student’s October 15, 2008 IEP by not providing him with one-to-one aide services and APE as provided in his IEP? 35. Pursuant to Factual Findings 26 and 27 and Legal Conclusions 2 through and 33, Student’s October 2008 IEP called for Student to have a one-to-one aide during mainstreaming opportunities. The parties do not dispute Student’s need for this service as the District continued to offer the same one-to-one aide service in subsequent IEPs. Student tried to establish that the District did not provide the required one-to-one aide during all school years at issue because the aide was not always working with or by Student’s side, which he needed due to his alleged behavior problems. However, Student did not always require the aide to be with him as he could independently walk from Mr. Sportel’s SDC to each of his general education classes, with his aide following behind. All three general education teachers established that the aide properly monitored Student, that he did not demonstrate any behavior problems that required the aide to be constantly by his side, and that the aide properly redirected and focused Student when needed. Therefore, Student did not establish that the District failed to provide the one-to-one aide as required by his IEP. 38. In S.A. ex rel. L.A. v. Tulare County Office of Education (N.D.Cal. Sept. 24, 2009) 2009 WL 3126322, aff’d. S.A. v. Tulare County Office of Education (N.D. Cal. October 6, 2009) 2009 WL 3296653, the district court found that school district emails concerning or personally identifying a student that had not been placed in his permanent file were not educational records as defined under FERPA. The court, citing Falvo, stated that Congress contemplated that educational records be kept in one place with a single record of access to those records. Since the emails student requested had not been placed in his permanent file, and were therefore not “maintained” by the school district, the emails were not educational records and the school district was therefore not required to produce them under a request for student records under the IDEA. Issue 1c: Did the District deny Student a FAPE by violating his procedural rights, which caused him to lose an educational benefit or prevented Parents from meaningfully participating in the educational decision-making process by failing to timely provide Parents with a complete copy of Student’s educational records after their June 11, 2010 request? 39. Pursuant to Factual Findings 125 through 129 and Legal Conclusions 2 through 7, 36, 37, 38, the District failed to ensure that service provider logs were in his cumulative education file was as the District failed to contact Student’s service providers after the June 11, 2010 records request to ensure the completeness of Student’s cumulative education file. While the June 11, 2010 letter requested all educational records, which would include test protocols and service logs, Student did not establish that the District’s failure to produce these records significantly impeded Parents from participating in Student’s educational decision-making process. After the District responded to the June 11, 2010 records request, Student’s counsel did not bring up the issue about production of the test protocols until the eve of hearing, and production of the service logs during the hearing. Student did not establish any harm that was caused by the District’s failure to produce the test protocols or service logs as Parents were able to participate in the educational decision-making process and Student did not lost any educational benefits. Also, the District was not required to produce copies of emails not in Student’s main file that District personnel kept for personal use. Therefore, Student failed to establish that the District denied him a FAPE by failing to produce records responsive to the June 11, 2010 request. 46. Pursuant to Legal Conclusions 30, 40 through 45, the District failed to offer the FM amplification system in the February/May 2010 IEP, even though the District agreed with Ms. Firemark’s trial period recommendation. The District was prepared at the start of SY 2010-2011 to implement the system in Mr. Sportel’s SDC, but could not due to Student’s attendance at the LMB Learning Center. The District adequately explained at the October 2010 IEP team meeting how it planned to use the FM system. Therefore, Student did not show any harm by the District’s failure to include the FM system in the February/May 2009 IEP because Parents had determined by the May 2010 IEP team meeting not accept the District’s offer because it did not include LMB services, and not because the District did not offer an FM system. 47. As to the District’s failure to produce all required records, pursuant to Legal Conclusion 39, the District’s failure to produce test protocols and service logs was caused by its policy that did not require it to ask District personnel if they had records that might be responsive to a records request. However, Student did not establish any harm caused by the District’s failure to produce the test protocols or service logs maintained by other District personnel. Therefore, Student is not entitled to any relief. Education Code section 56507, subdivision (d), requires that the hearing decision indicate the extent to which each party has prevailed on each issue heard and decided. Student partially prevailed on Issue 1c and Issue 6c. District prevailed partially on Issue 1c and Issue 6c, and prevailed completely as to all other Issues for hearing.